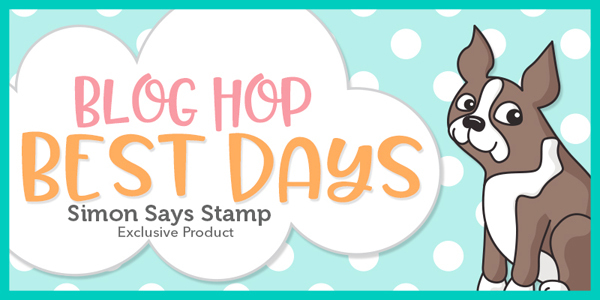 Well, Welcome to the Simon Says Stamp Best Days Blog Hop! This hop is filled with amazing talent and wonderful new product. Who could ask for more, right? Simon Says Stamp is generously giving away a $25 gift card to a random commentor from each stop on the hop! Whoo Hoo! So as you go through make sure you leave a little bit of love along the way. Speaking of hopping along you should have come over from my sweet friend Nina-Marie, if you're just stopping by you can head to the Simon Says Stamp Blog to start at the very beginning. I've linked the release below so you don't miss one bit of this fantastic release. I know, how did I even make a choice. Well it was hard but I've been in the mode of trying new things and so I reached for the dies. Gasp. I'll wait while you pick yourself up off the floor. When I saw the Blooming Circle die I decided to channel the wonderful Laura Bassen and use the negative. I used Laura's trick with Press N' Seal to hold all my pieces together while I watercolored them with my distress inks. Then I loved the watercolor background so much I just had to use it! I already had the watercolor background so I just cut the die again and quickly colored them with my Copic markers before inlaying them into my background. I used foam tape on both cards. For the negative die cuts I popped up the tiny flowers and leaves. It definitely took a little bit of time but I can see why Laura does it. The look is really beautiful. For this card I inlaid the flowers and leaves flush but then popped up the entire panel with white fun foam. The sentiments for both cards are a combination of the new Big Thanks dies and stamps. I can see endless uses for these two! You can watch both cards come together and listen to a few tips I learned along the way in the video below. Your next stop on the hop my incredibly talented friend Jessica Frost-Ballas. I just know she made something fabulous! Both cards are beautiful! I love that Bloom Circle. gorgeous cards. Love the colors. So bright & cheery. Press-n-seal is a great product to have in the craft room. So creative! Love both looks! I love your cards, simple yet beautiful! Love, love, love! Beautiful colors!!!!!! gorgeous work as always! love when you can two with one and they are equally awesome! Thanks for sharing such pretty cards. I think that wreath is a great product. Kelly you are amazing, i don’t miss any of your videos and posts. These cards are stunning Kelly, love the colours so pretty. Love those cards, what beautiful wreaths! Beautiful cards, Kelly, I love them both! Very different to your usual style, but they're amazing either way! Lovely cards. I have never done a card with a wreath before. I think I am a little bit intimidated by them! These are beautiful! Thanks for the tips and I am looking forward to the video! Your videos are the best!!! Love these lil wreaths...so very 'springy'...so ready for that!!!! This card is beautiful! I am not usually a fan of wreaths, but I really like this one. What a great die and love your creations. The colors and design are fabulous. Both cards are absolutely beautiful!! Gorgeous cards! I love the colors!! This die is so pretty and your cards are fabulous!! Well now...look at u! Looking forward to the video on this one. They came out fantastic! U go Kelly girl! Love your beautiful cards and "2 for" the price of one is always good! LOL! I will look forward to seeing the video later, as I have been trying the Press & Seal with die cuts and am struggling a little with it's use. Beautiful flower wreaths. Great cards! So very pretty. And such a great idea. I always love it when there is a way to speed up making cards, and they both give different looks too. thanks for sharing. Awesome cards, Kelly. The THANKS stamp and die are one of my favorites from the Best Days release. Love the wreath around the sentiment, beautiful design. Adorable card! Thank you for the inspiration! I love the color combination you used here! Makes me want to run off and create something with the same palette. Oh, Kelly, what beautiful cards! You did great!!! Fun cards! Don't you love it when a second card automatically follows from the first? The Blooming circle die was on my wish list but with your inspiration it is being moved to the top of my list! Both of these cards are gorgeous. How do I see the video. I would love to see the press and seal technique you talk about! Beautiful cards! I like how you showed versatility with same stamp set but with different backgrounds! Beautiful. Love how you got two cards out of one cut. The Blooming Circle die is so pretty. Gorgeous cards. Very beautiful cards. Love the desert storm card. Wonderful cards, Kelly! The watercolored look makes the flowers so soft and appealing. I might have to change my go-to of just die cutting solid colored cardstock and give your technique a try! So much more depth and interest your way! Great watercolored cards. thanks for sharing. I love the way you used both parts! Great cards. I didn't think I would use this die - you have convinced me otherwise. So pretty! Both cards are soft and beautiful! Your cards are lovely ! And perfect after the beautiful day we had here in Switzerland today, it really looked like spring was there, like on your cards. Your cards are absolutely gorgeous as always.. Wonderful use of the negative pieces. Both cards are amazing. Awesome cards! I have to get some press N seal. Kelly I love both of your cards and it was a great idea to use the white card aswell. Thanks for these awesome examples and idea's. Have a nice weekend. Very nice! The colors look lovely-makes me wish spring would hurry up and get here. Excited about your post - I have Press 'n Seal so can't wait to try this. Your videos rock, and such lovely Spring colors!!! Love the you did this! Lovely floral wreaths on your card. (gasp!) look at you, living on the edge lol. I love how you created these cards, so beautiful! Lots of work but the result is amazing. I love it. Love that Blooming Circle die!!! Just gorgeous cards! OMG! I love these cards! I've been on the fence about these dies, but your cards just pushed me over... gotta go get'um NOW! *sigh* Gorgeous cards... thanks for sharing the techniques! wonderful cards, Kelly - especially love the one on kraft - look forward to seeing your video! Beautiful cards! Love the blooming circle die and the beautiful colors you chose. Looking forward to the video of your process with these cards. The results are just lovely. Thanks for sharing. I love the floral watercolor card you did. Thanks for sharing your beautiful card. always love your cards, so lovely! Your cards are gorgeous, love this technique! Beautiful cards - I especially love how the flowers look on the kraft paper, with that beautiful layered sentiment! Love that die, it's a beautiful card. I am such of fan of all you do, thanks!! Love colors on kraft like this! Gorgeous! Very nice cards. Love the floral die! Your cards are wonderful! What a colorful way to say Thanks! Nice! Love both cards. Hope you'll do a video of it?! Loved your cards so much! Good for you, trying something outside your comfort zone! Love how both of these turned out! Bea.u.ti.ful cards! Love them both. Great pair of cards! Loving the look of both although maybe a little more partial to the white backdrop. Fabulous cards Kelly, You can never go wrong with kraft card I think. This release is killing me! I need a hunk of money! Gorgeous cards! I really love the black/craft thanks on white. Beautifully done. Really beautiful cards! The blooming circle die is so pretty to begin with! Just awesome. Your talent is outstanding. Seriously, these are absolutely gorgeous as is the case with ALL that you do. Isn't this Blooming Circle Die beautiful? It looks amazing! Beautiful cards. I love the pretty flower wreath!! These are gorgeous!!! I love the colors with the Kraft yardstick. I can't tell you how pretty these are! Love both versions of your card Kelly. Very simple but so sweet and I really love soft pastel colours. Appreciate you taking the time to inspire us all. Many thanks. Love this new release too. Very pretty. Hi Kelly, I couldn't wait to see wait you were going to pick to color, I love what you choose. It is stunning, love the colors, and as always the coloring is amazing. Tfs. Kelly, your cards are beautiful—as usual! Totally love the kraft bg of that beautiful fonted thanks! Gorgeous cards! Would love to see a video of how you used the press n seal - I've only used it to pick up embellishments I've laid out on my page so that I can put adhesive on and lay them back down in the right spot. Looking forward to the video. I can’t believe your patience to inlay all those pieces. Lucky recipient! Pretty pretty cards. I love that the thanks die comes with a shadow. I need to add it to my wish list. Beautiful cards! Thanks for sharing your creativity. Love your beautiful cards! Thanks for the inspiration! They are both lovely. Lots of work but worth it. TFS. Beautiful cards Kelly -- thank you for sharing this inspiring idea and design. I love it when you can get two cards out of one technique! Wow, your cards are amazing. Thanks for a new technique! Love the cards and your nails! Lovely cards with lovely spring colours! I had overlooked the thanks die & stamps, but thank you for bringing them to my attention. They are great & are ones I could really use. Your cards are wonderful. Just beautiful! Always love your color combos. I think this is one of most favorite things in the new release. The flowers are just so whimsical and cute, and you can use it for any type of card. I love your color combinations and the card that you made. You help me make up my mind, that I just need to purchase this die. You are super patient. Maybe I will give this a try. Awesome cards! Will have to try this method on my cards. Love the colors you used. Thanks for sharing and have a wonderful week end. Absolutely love your cards and admire your patience with all the tiny pieces. I would buy your cards to send out but admit that I do not have this kind of patience to make my own like that. Thanks for sharing such beautiful work. Wow!! These are both just beautiful!! You crack me up with your comments...you and Laura are both so entertaining in your videos, they're as much fun to watch for the commentary as seeing how you create those awesome cards!! A great job with both cards. Very nice cards. I always enjoy learning how to use dies in more than one way. Beautiful cards! I think I need the thanks set! Now do that technique again with a die that DOESN'T have five million tiny dots and you'll be done in no time flat! Beautiful wreaths. Gotta get some press n seal. Always a treat to view your creations!!! Holy crap, you went with the inlay with the most tiny pieces ever :S. I concur that the outcome is gorgeous, but not sure I could fight those itty bitty pieces myself lol! 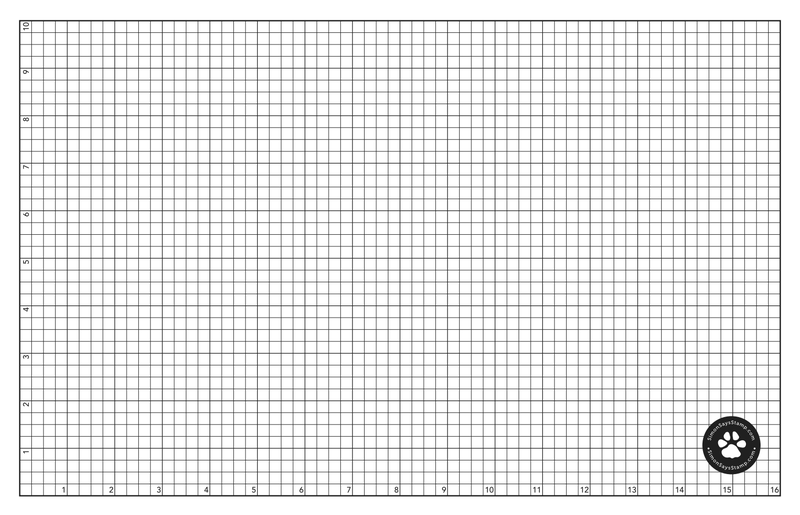 That 'thanks' die is simply perfect in all ways (total staple). Thank you for all your hard work on this card, love both cards. Always pick up something new from your videos. Great release from SSS. Both cards are so pretty Kelly! Nice to see you step out of your comfort zone and be totally successful! Encourages me to do the same! I use the press n seal when arranging die cute flowers and it makes it so easy! Looks like I will have to try this inlaid die cut technique now too! I love everything you do! Thanks for being here on this fantastic blog hop! I was excited to see you in the blog hop! I like that you tried something different, thought you'd hate it but ended up liking it. That gives me the courage to stretch out into new techniques . definitely worth the effort. after all, "enjoying" is why we (I) do this, right? My long nails are making this technique nearly impossible. Love your cards though. Beautiful cards, I've tried the Press-n-Seal, it's great. This wreath is beautiful ! Beautiful set of coordinating cards! Each is prettier than the other. Love the flower colors and title work. The colors of the flowers are so delicate. Beautiful cards. Enjoy die cutting. That is serious commitment! Those teeny tiny piece of foam tape! But yes, the effect is great! Both of your cards are simply beautiful. I hadn't really noticed the Blooming Circle die, but think it might be a must have. These are two absolutely wonderful cards ! Your wreaths are perfect and the sentiment is so beautiful ! As always - love your video. Your cards are gorgeous, Love this new die! Both cards are beautiful! Very pretty colours, great design! Beautiful cards!!! I love how soft they are. Tedious work, but beautiful results! These are some of my favorite cards of the Blog Hop!! I love the dies you chose and they work perfectly together to make a gorgeous card, or in this case, two cards! :) Thanks for sharing them! Wow amazing cards and love the dies. Love this die also! Great idea, can’t wait to watch the video!! These cards are soooooo cute! I adore wreaths. I love that is card is simple and colorful!! Your creativity is impressive!!! you always have great ideas..
Wow! I love how you used the Blooming Circle die to make these gorgeous cards. So stunning! I too am a huge fan of Laura Bassen. You totally nailed her spirit on this card. Very beautiful. Fantastic cards! I love how the soft coloring highlights this sweet floral wreath. Love these cards Kelly!! Im giving you mad props for them too!! Your a lot more patient than I am. Hahaha!! Would love to hear the actual audio of when u were doing these, instead of a voice over!!! Thanks for sharing and way to go for trying something new!! Big hugs!! !